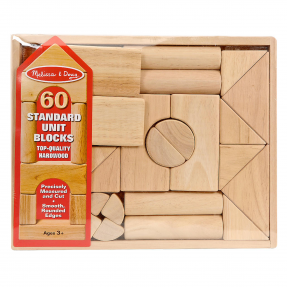 DesignApplause | standard unit blocks by melissa & doug. 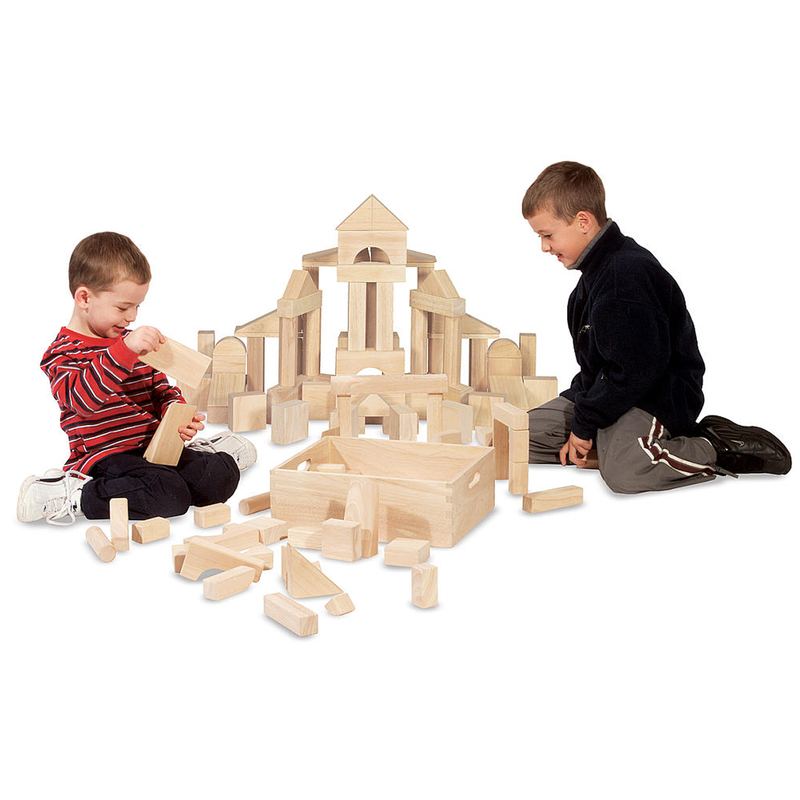 There is no limit to the types of fortresses the child can build with these blocks. 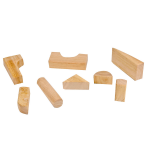 This deluxe set even contains pillars, buttresses, gothic circles, and half-circles for advanced architecture. As an added bonus, the storage box doubles as a building platform. Children and parents have fun as they complete projects together. Parents can purchase another set and add to the amusement. 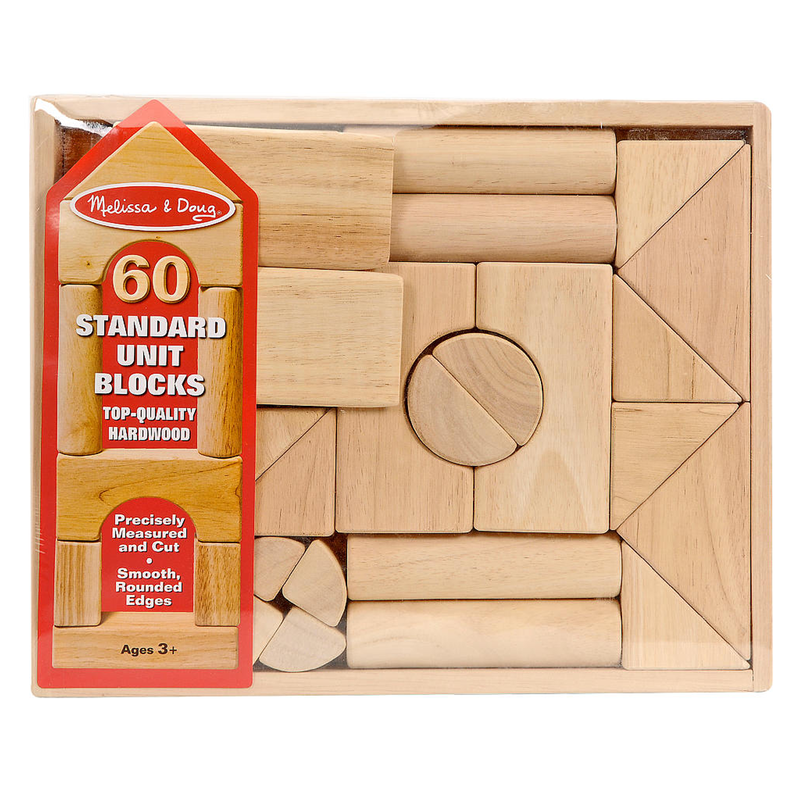 An essential for any child’s toy box, these blocks are sturdy, durable, and beautiful enough to put on display. The box measures 15 x 12.2 x 5.4 inches.